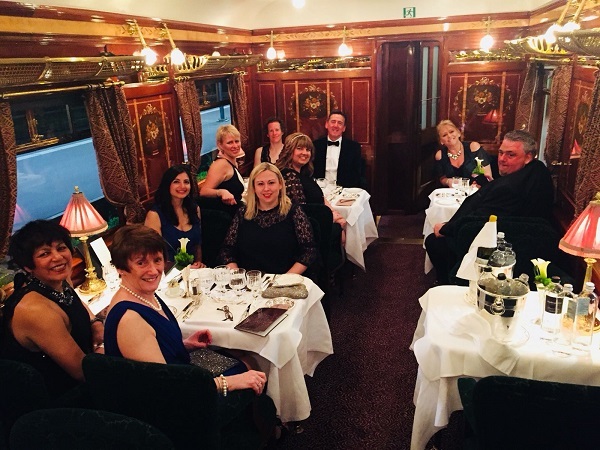 Assistant Manager of our Dorchester Travel branch, Wendy Dowe, travelled to Venice to enjoy the sights and then returned via the iconic Orient Express. Here are the things she enjoyed most about her trip. Our flight with easyJet was routine and on time. 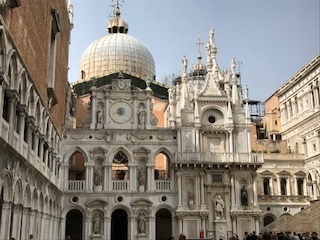 My accommodation in the Belmond Hotel Cipriani was beautiful. I had a junior suite overlooking the very large pool area with a huge terrace. Everything about the Cipriani was lovely the staff were all very friendly and couldn’t have been more helpful. Our stay was based on a bed and breakfast basis but, on the second night, we had dinner in the Cip's Club, which is just a short walk from the main hotel. We were also very lucky to have full use of the hotel’s private launch for every journey that we made. After our two nights in the Cipriani, we were taken to the station where we boarded the Orient Express for our journey back to London. The whole journey was a once-in-a-lifetime experience and I feel very lucky to have been able to do it. From the minute you board and are shown to your cabin, everything is taken care of. The train is absolutely beautiful; the attention to detail is amazing and the service, as you would expect, is faultless. The accommodation is small but we were lucky to have cabins for sole use. If there were two of you sharing then getting ready for dinner etc. would be a little more difficult. Or trip included virtually everything. 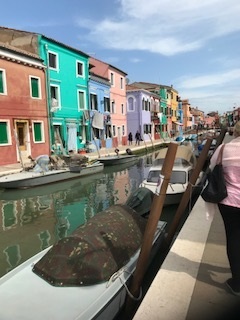 We had a guided tour of the Doges Palace; a visit to the island of Murano, where we had a private demonstration of glass blowing; and then a trip to the island of Burano, which is lovely. The buildings are all painted in bright colours and the island has a lovely feel to it – helped by the beautiful weather we had. I don't think I can choose a favourite part of the trip. I found the whole experience amazing. It’s difficult, but I think they could do with a second bar on the train, as the one they have gets very congested between the dinner sittings. I would definitely recommend this trip, especially to anyone celebrating a special occasion such as a birthday or anniversary. If you would like to plan a city break like Wendy’s, our team will be more than happy to help. We also have plenty of rail holidays available, like the journey on the Orient Express that Wendy enjoyed. Visit us at our travel agents in Ipswich, or any of our other branches in East Anglia and on the south coast.